Facebook CEO Mark Zuckerberg and his wife, Priscilla Chan, plan to give away 99% of their Facebook shares – valued at $45 billion today – to charity. Zuckerberg and his wife Dr. Priscilla Chan announced their plan on Tuesday in an open letter to their new daughter, Maxima Chan Zuckerberg. 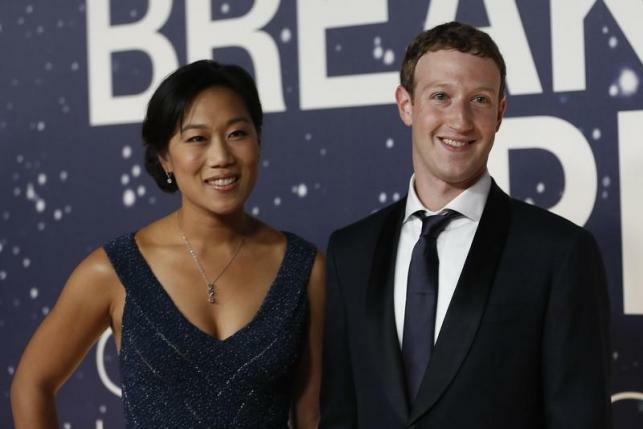 The money will be dispersed through the Chan Zuckerberg Initiative, which is created by Zuckerberg and his wife, Priscilla Chan. The organization will focus on four key areas: personalized learning, curing diseases, connecting people and community building. “We know this is a small contribution compared to all the resources and talents of those already working on these issues. But we want to do what we can, working alongside many others,” — the new parents said in the lengthy post. The couple has also been active in various charitable programs. They donated $120 million to education programs in the Bay Area through their nonprofit Startup:Education and donated $100 million to schools in Newark, New Jersey. Earlier this year, they also founded The Primary School, a new Bay Area school for underprivileged children that combines education with health care.Zuckerberg and Chan are not the first billionaires who have promised to give away most of their fortune. They have joined the Giving Pledge, a pact by billionaires including Warren Buffett and Bill Gates, to give away half or more of their money to charity. Zuckerberg will keep a controlling stake in Facebook, valued at $303 billion as of Tuesday’s close, for what the company called the “foreseeable future.” According to Facebook’s most recent proxy statement, Zuckerberg owned 4 million Class A shares and 422.3 million Class B shares, which have 10 times the voting power of A shares. Combined he held 54 percent of the voting power of the company’s shares. The plan, which was posted on the Facebook founder and chief executive officer’s page, attracted more than 570,000 “likes,” including from singer Shakira, former California Governor Arnold Schwarzenegger and Melinda Gates, wife of Microsoft founder Bill Gates. The Gates and other high-profile billionaires such as Warren Buffett have set up foundations of their own to dedicate their massive fortunes to philanthropic endeavors.